Nigeria exiting recession not true- Fayose – Royal Times of Nigeria. The Ekiti State Governor, Ayodele Fayose has claimed that the announcement that Nigeria was out of economic recession was inaccurate. 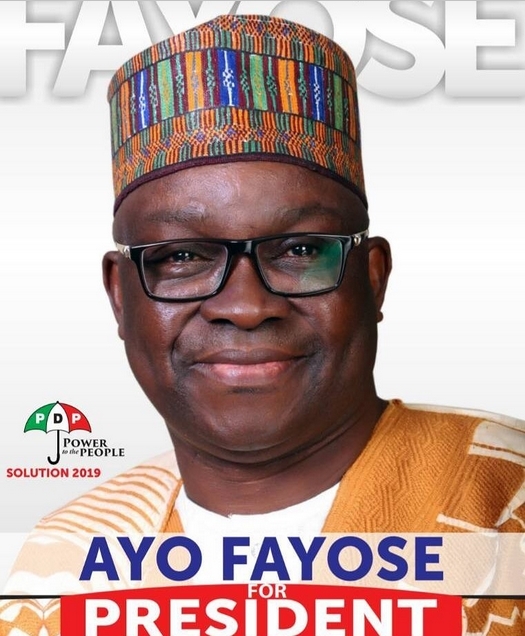 In a press statement by his spokesperson, Lere Olayinka, on Wednesday, Mr. Fayose said the statistics upon which the claim was based is meaningless to Nigerians. “Is it not funny that the same federal government that declared public holiday forgot that there would be a Tuesday after the public holiday and FEC meeting will be held on Wednesday? “If Nigeria is indeed out of economic recession, has price of foodstuffs like rice reduced to N7,000 per bag that it was when Buhari took over power? “Is dollar now N197 to $1? Is petrol now back to N87 per litre that Buhari met it in May 2015? Are Nigerians now feeding comfortably, even if it is once in a day? “It is sad that the APC government has remained on the path of lies and propaganda and I wonder why the government can’t be truthful for once. “However, if this latest lie is about 2019 general elections, they have missed it because Nigerians can no longer be received by the APC lying government. “Nigerians should therefore disregard their lies and keep praying for God intervention in the affairs of the country,” the governor said.